Editor's note: This weekend, principal cellist Anthony Ross will perform Shostakovich's Cello Concerto No. 2 with the Minnesota Orchestra for the first time publicly. Hear it live at 8 p.m. Friday on Classical MPR  online, broadcast or via the MPR app  with host Brian Newhouse. "It was a devastatingly cold winter that year in Moscow. They were running really low on fuel, oil and firewood, and they had relatively little heat in their apartment complex. And in those days there were shortages of everything in Russia. "But he had a dream that he was sleeping in the cold, and that a big truck had pulled up to their apartment building, and it was full of firewood to heat their home. "He woke up from his dream at like 6 a.m., went out and looked out the window, and, sure enough, there was a truck out there. "But it was actually filled with bodies." Minnesota Orchestra principal cellist Anthony Ross pauses. "So that's about how dark this piece is." Ross is describing the grim experiences of composer Dmitri Shostakovich and the origins of his Second Cello Concerto, which Ross will be performing with his orchestra this weekend. The work was written in spring 1966 for longtime friend Mstislav Rostropovich, who premiered it that autumn at a concert commemorating the composer's 60th birthday. 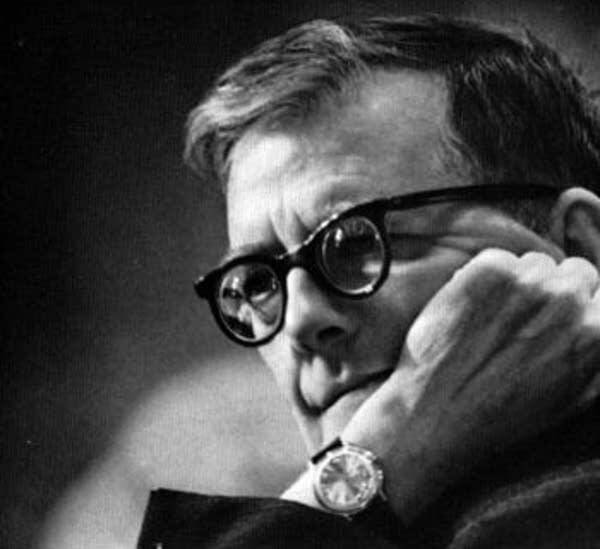 It was a time when worries about death and deterioration were consuming Shostakovich. His health, never good, was worsening. Around the time the concerto was written, he suffered a heart attack. These brushes with death appear to have cast a dark shadow over his music, which was never known for its sunniness to start with. Maybe as a result, his Second Cello Concerto isn't nearly as well-known as his first. In fact, despite the length of Ross' career, he has never played it publicly. "I chose this piece because I suddenly realized a couple of years ago that over my tenure in the orchestra, which is now 30 years, it had never been played." He adds wryly, "And it was on a list of very few concertos that I knew I had to do before I got too old." Other cellists, from Yo-Yo Ma to Lynn Harrell, had urged him to learn and perform it. "And the minute I seriously started studying it a couple of years ago, I realized, 'Woah! They are right. This is an incredible masterpiece.' And it's equally great to, if not greater than, the first concerto." How did he balance learning such a demanding work from scratch while still carrying out his duties as principal cellist? The answer is planning and practice. "I got the music to this piece probably 18 months ago," he says. "A year ago, I probably learned it well. And then I let it sit. And then I brought it up again and learned it well maybe last summer. And so this is like my third or fourth time polishing it. "Especially with a new piece like this, you have to bring it out multiple times to get it to a polished level. I need to get on stage in front of a full house and be comfortable. The only way to do that is to feel like you're a veteran with the piece." Although he's the soloist this week, thanks to the concerto's orchestration, he'll still be working very closely with his colleagues. "I have multiple times where I'm playing duets or trios," he says. "I have a duet with the bass drum player; it's crazy. I have duets with the bassoon section. I have duets with the cello section, with the clarinet player, with the flute player. And, so, those moments are always kind of chamber-music-ish, but at the same time I need to keep my solo voice. It's something you learn to do." The second movement is a highlight. "There's a song that goes all through the second movement that is a Russian folk song  a vendor's folk song. It's a song where a woman is selling pretzels or bagels, depending on how you translate it. It's basically 'Pret-zels, please buy my pret-zels.'" He sings the phrase with mocking sarcasm. It turns out that the woman is offering more than just pretzels, and, in Ross' words, "a crazy lewd party" ensues. "All this stuff going on is quite entertaining and a little bit crass. Let's put it that way." 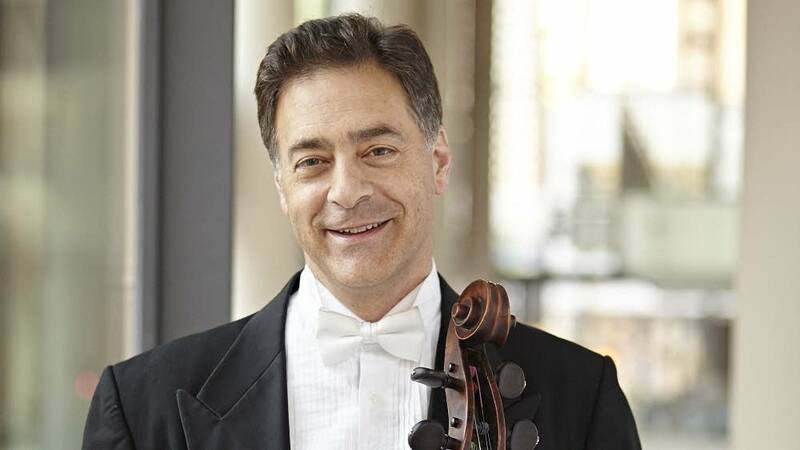 Bookending the darkness and sass of the Shostakovich in this weekend's Minnesota Orchestra concert is Kevin Puts' Inspiring Beethoven and Beethoven's Seventh Symphony  two undeniably buoyant works, miles away from Shostakovich in tone and outlook. "The Seventh is a triumph: a triumph of light, really," Ross says. Whereas the Shostakovich is  I hate to call it a dark triumph, but you could say that. A triumph of darkness." What might Ross say to someone overwhelmed by the darkness of our own world and hesitant to step into Shostakovich's nightmares? "Music is a funny thing," he muses. "Because it works both ways. You can listen to super happy bright music, and it makes your life better. And you can listen to super dark music, and it also makes your life better. That's the beauty of our art."